LittleBigPlanet has gone a ‘little’ dark in recent months, with no sign of that rumoured Sumo Digital threequel anywhere to be seen. 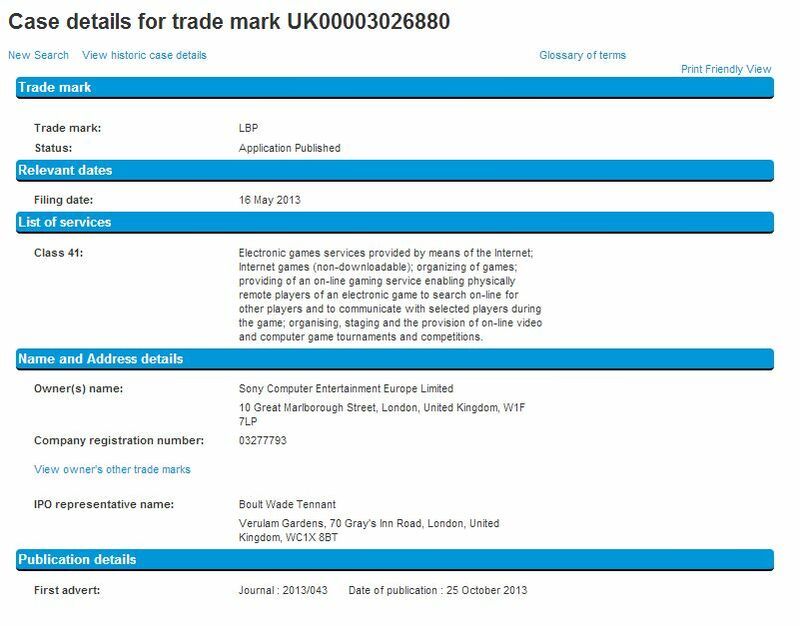 Sony’s new ‘LBP’ trademark could suggest that those particular wheels are starting to move. 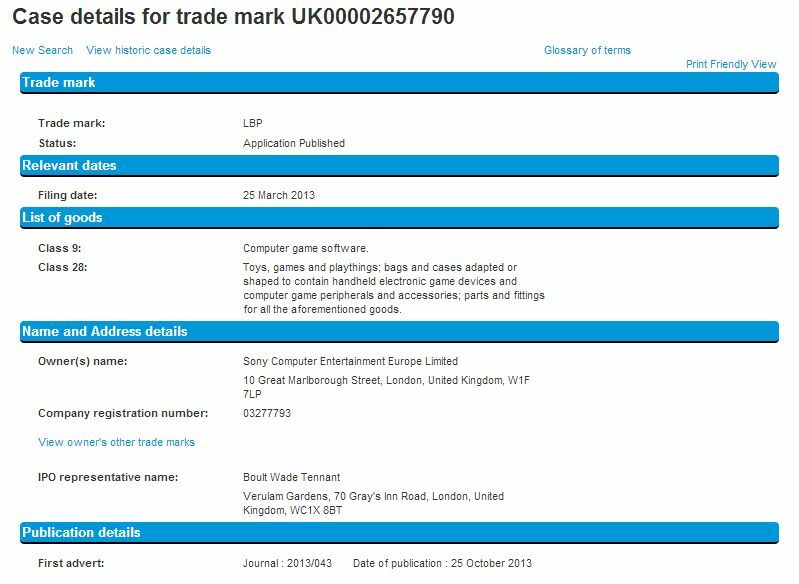 DualShockers noticed that Sony filed not one, but two ‘LBP’ trademarks here in the UK. They were filed in October, and the closing date for opposition ended December 27. The site has screen-capped the entries here and here. This could merely be a stylistic thing – like changing Devil May Cry to ‘DmC’ – a way of safeguarding the brand or something to do with LittleBigPlanet Hub for PS3. Or you could buy in to the knee-jerking sensationalist agenda and believe, right now, that it’s a PS4 sequel. Speaking of which, here’s our report on Sumo Digital’s LittleBigPlanet 3 project. Just hit the link.